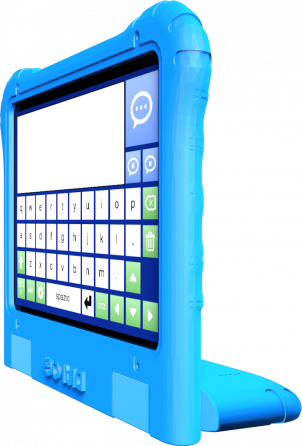 The brand-new DPAD communicator is an Electro-Medical Device with the features of the classic speech communicator and normal tablet, with solutions designed to monitor and meet the technical and communication needs of individuals with locomotor system and/or cognitive disorders. It is particularly useful for disorders such as autism. The DPAD screen was designed with capacitive-type touch screen technology, which reads the variation of pressure on the screen. These kinds of screens are used in latest generation smartphones. 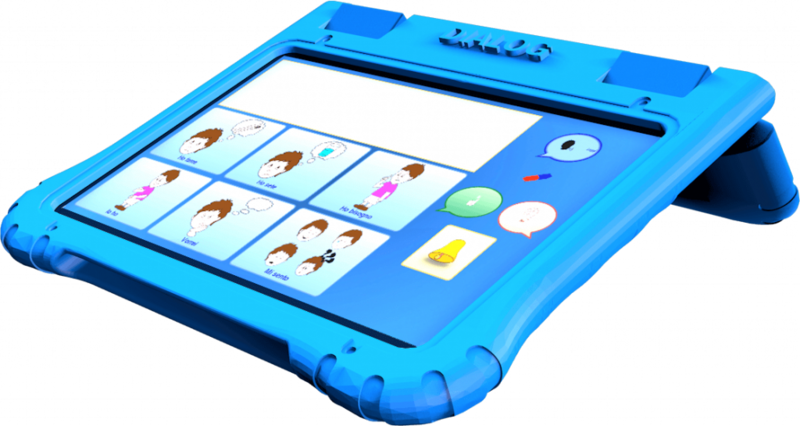 The augmentative and alternative communication software Dialog AAC can be used through the use of external sensors. For this, Dpocket must be used with the D-Switch Bluetooth interface. When the client does not have residual motor movements that allow him/her access to the communicator, s/he can use our Deye eye-tracker with Windows. Even in this case, if there was any residual motor movement that could be used by the sensors, it would facilitate the patient’s selection. Thanks to its personalised and researched design and the extremely comfortable foldable handle, the revolutionary EMD can be used in multiple positions. DPAD’s protective case has 4 VESA attachments that allow you to position it on the table, bed or wheelchair stands. DPAD is made from EVA (ethylene vinyl acetate), a shockproof and non-toxic material that protects the EMD if dropped accidentally. The case material is a closed cell copolymer of ethylene and vinyl acetate. It has optimum elasticity, flexibility, mechanical resistance and dielectric properties. DPAD’s protective case contains 4 magnets that allow you to apply interchangeable patented shields. 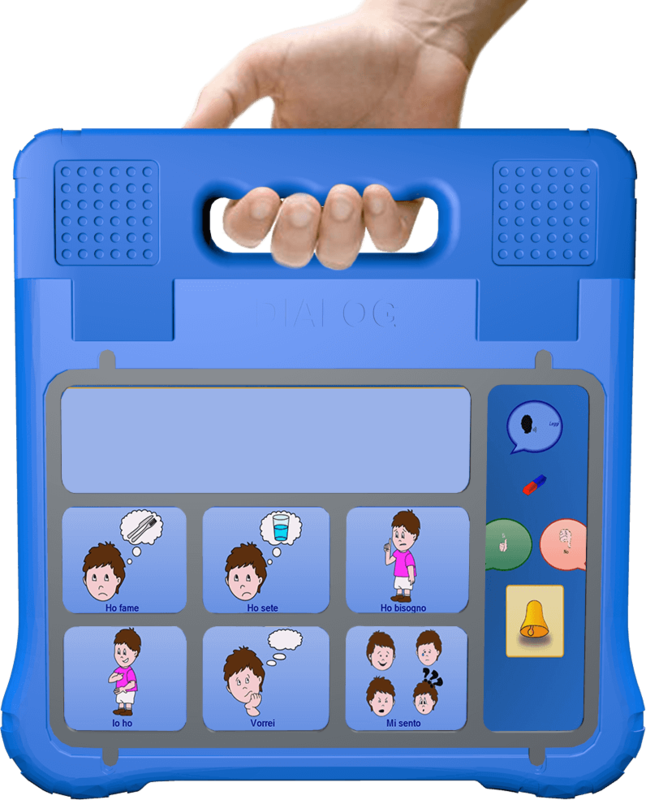 The shields are plastic grids that allow DPAD to be used by individuals with loco-motor problems and/or dystonia, and can be personalised depending on the communication structures used. With Dialog AACcommunicating has never been easier. 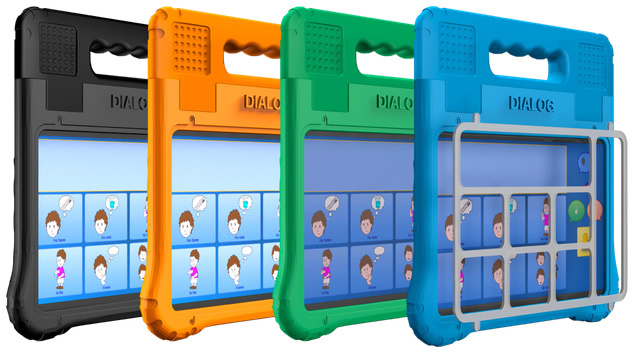 We combined the potential of the DPAD dynamic touch communicator with the Dialog AAC software. Abbiamo unito le potenzialità del comunicatore dinamico tattile DPAD al software Dialogo AAC. 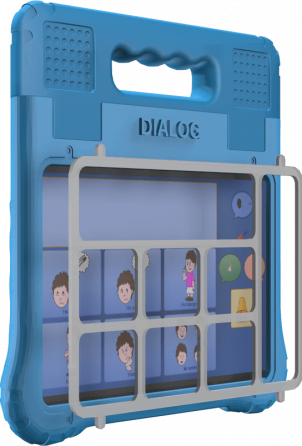 Thanks to the Dialog AAC software, everyone has the possibility for communication, including individuals with autism. A library of PACS images, which are useful for communication, comes with the Dialog AAC software. It includes animated images to make communication more engaging. Thanks to the dual operating system, it is easy to create structures to be used with the Dialog AAC software from your own PC and then import them onto your DPAD EMD. You can also use software such as: “The Grid 2” with eye-tracking, Erickson or Anastasis teaching software and a number of free Apps that can be downloaded from the Google Play Store. Thanks to the synchronism and interactivity of the Dialog AAC software, users can freely create structures on their own PC and import them onto the DPAD. 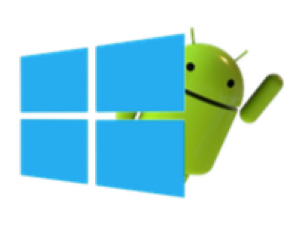 For this reason, we recommend purchasing an additional Dialog AAC Windows licence. The DPAD communicator was produced in accordance with the essential requirements of Legislative Decree No. 47/97 of 24 February 1997 that incorporated Directive 94/42 CEE on medical devices, as issued by Legislative Decree No. 37 of 25 January 2010. The DPAD EMD is registered with the Italian Ministry of Health as a “Medical Device” with registration number 1367805/R. The above Device was classified as belonging to Class 1. The DPAD communicator complies with IEC 60601-1.2 standards with 62-5 Third Edition classification and is a Class 2 Type B device.